HHS Secretary Alex Azar sidestepped questions from two Democratic senators about whether his agency and the Labor Department have investigated and taken enforcement action against Anthem and other insurers that allegedly violated consumer rights by denying coverage for emergency care. In a letter to Sens. Ben Cardin (D-Md. and Claire McCaskill (D-Mo. ), Azar said states are generally responsible for insurance regulation and enforcement, citing one investigation where federal officials probed denied emergency care case. "While we cannot comment on any open investigations, HHS has been monitoring state action on this issue and will work with the states to ensure that appropriate action is taken if necessary," Azar wrote in an Aug. 20 letter. Cardin and McCaskill wrote to Azar and Labor Secretary Alex Acosta in March, asking the agencies to report their actions to enforce federal laws requiring insurers to cover care for emergency conditions, singling out Anthem for scrutiny. Last year, Anthem caused a furor by rolling out a policy in five states of denying payment for emergency department visits that it subsequently determined did not involve true emergencies. Blue Cross and Blue Shield of Texas launched a similar policy last month for its HMO plans. Some federal and state lawmakers see this is part of a broader set of issues that call for legislative or regulatory action to protect healthcare consumers. Earlier this year, Atlanta-based Piedmont Hospital and five sister hospitals sued Anthem, claiming the insurer's policy violates Georgia law. In July, the American College of Emergency Physicians and the Medical Association of Georgia sued Anthem's Georgia subsidiary to end the policy. "We remain concerned that Anthem's ED policy… forces patients to determine, before they even leave their home, if their symptoms are serious enough to go to the emergency room," the senators wrote. Azar's letter cited one closed investigation, against MagnaCare Administrative Services, in which the Labor Department determined that the third-party administrator improperly used diagnosis codes as the basis for claims denials for emergency services from 2011 to 2015. He said HHS has not received any complaints about group health plans violating the prudent layperson standard, and has not had any direct contact with state insurance departments on this issue. He did not mention Anthem. A Cardin spokeswoman said the senators were not satisfied with Azar's response but didn't indicate whether they would push a legislative solution. "The letter is appreciated but does not fully respond to the senators' concerns," she said. "Sen. Cardin's staff continues to reach out to CMS on this issue and will be monitoring the relevant lawsuits for further developments." Anthem declined to comment on the letters. 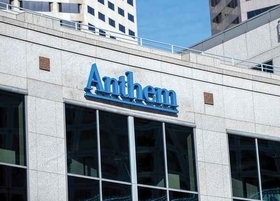 A spokeswoman said if a consumer chooses to receive care for non-emergency conditions at the ED, Anthem will request more information, including medical records, from the hospital, as well as a statement from the consumer before reviewing the claim. Spearheaded by Cardin, Congress in 1997 established the prudent layperson standard to apply to Medicare and Medicaid managed care plans. The Affordable Care Act extended this standard to individual and group health plans, including self-insured plans. In addition, most states require plans to use that coverage standard for emergency care. In July, McCaskill released a report that Anthem's ED coverage policy led to a large spike in coverage denials among ED patients in Georgia, Kentucky and Missouri last year. The company later overturned more than 60% of the coverage denials that were appealed by patients. Earlier this year, Anthem announced it would tweak its policy by having its claims reviewers request patient records before making a coverage decision. Laura Wooster, a public affairs executive at the American College of Emergency Physicians, said her group wants to see stronger enforcement of the prudent layperson standard. Coverage policies like Anthem's "have a chilling effect on patient decisions to seek emergency care, and that's not a time when you want to second-guess patient decisions because really dangerous conditions and really minor ones often share the same symptoms," she said. "You don't know until the diagnostic work is done." Wooster approvingly noted that Azar's letter clearly said that diagnostic codes should not be the only factor in determining whether a medical emergency condition occurred, and that federal law requires insurers to consider the facts and circumstances of individual patient cases.